A stunning release to polish off the year with. DIRTYBIRD pull out all stops with this resilient, piano led number that is all at once beautifully jazzy, and yet rolling with a tough undercurrent underpinned by Amp Fiddler’s spoken message exonerating the future tense. Excellent, provocative music – the way it always should be. 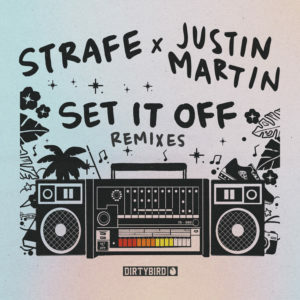 The remix comes from label-head Claude VonStroke who adds extra punch to the production alongside brighter expectations, which accompany the sizzling arrangement of fiery dub effects and infectious rhythms perfectly. Like it hot. Well, you’ve come to the right place. 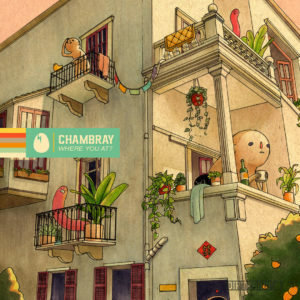 Chambray’s excellent set of four productions positively simmers with the sort of fanatical energy that’s simply too radical to ignore. The title track begins by posing the question: Where You At? Then proceeds to pummel your ignition with fiery tribal styled rhythms. Deets Yew, hits next with hints of melody contained within the brightly addictive keys, as the contrasting and certainly killer Being Tru gets dirty via its nasty bassline alongside insistent drums and a bag full of attitude. 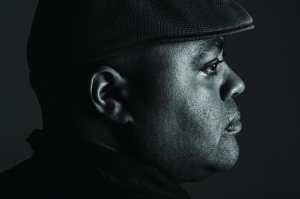 Leaving the Birdfeed Exclusive of Laurel Em to deliver classic Chicago basslines and driving beats to end on an inescapable high. 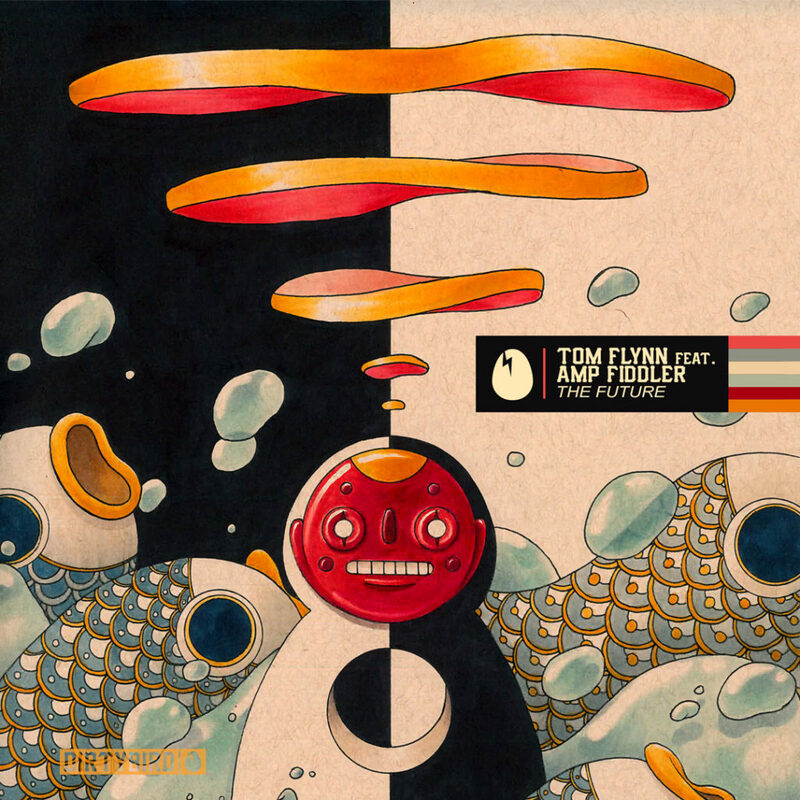 Comprised of two tracks this new release from DIRTYBIRD has the undoubted pleasure of Robert Owens voice featuring on the opening Fine Feeling. Which feels reassuringly familiar as grainy Organ hits loop into distraction, offset by big splashing hi-hats and dirty bass. It’s an interesting combination of soulful elements plus the low-down and as such works in irresistible fashion. 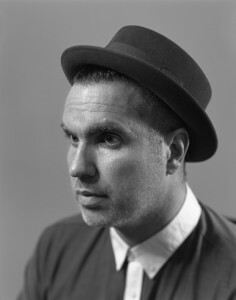 The intentionally pounding Factory Settings in conjunction with Joseph Ashworth follows with nagging synth lines poking at solidly funky, syncopated drums and bass accompanied by a whirwind of deliciously dangerously fizzy stabs and noises. Again undeniably wonderful. 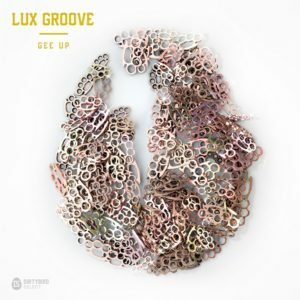 The artist known as Lux Groove returns to the fold with this Acid ignited workout clocking in at a relatively crisp five minutes of ecstasy induced frenzy. 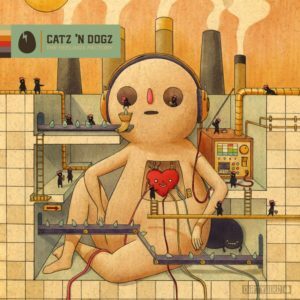 Of course, this being Dirtybird (Select) nothing is quite as it may seem as the accompanying vocal narrative sounds beyond redemption, chopped up and highly effected. Next up, Ride Low tweaks the twisted rhythms even further with deliberately uncompromising synth lines over a funky succession of punctuating hi-hats and loose kicks. Love this. It’s the sheer confidence and belief that these four bars of intense organ hits are enough to command the track, as indeed they do, that is so charming here. 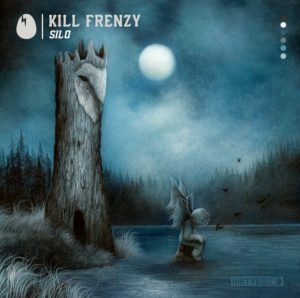 Although, Silo is anything but polite as it stabs the keys out and over crisp drum machines, cold voices and an imposing range of effects giving the arrangement a haunting, devilish reference which, let’s face it, sounds totally s**t hot! Hello and how is life in Berlin in 2015? Fantastic at the moment actually, now that we’re into June and it’s so gorgeous all the time. In the winter things can get a bit rough and ironically not due to the cold, but rather, due to the fact that it’s overcast like 90% of the time. It leads to mad folks walkin’ around nursing seasonal affective disorders, ewww haha. But it’s summer now so outta sight mind. You can tell winter I said it too, ain’t nobody scurrrred! 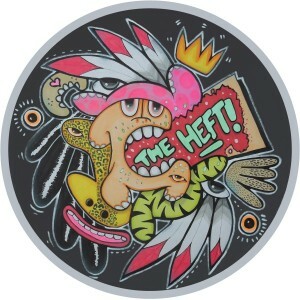 Your excellent new single The Heft EP is coming out on Hot Creations. How did you hook up with the label, and what does it mean to you to have another release on the infamous imprint? I was at a boat party in Detroit a few years back where Richy Ahmed was headlining. He played one of my tracks and I went up to acknowledge it and thank him while it was playing. He then told me he’d been wanting to talk to me about a collaboration, I suspect because he’d heard a bunch of stuff I’d been doing with Matt Tolfrey & Audiojack. Funny thing is that it took a long time for us to pull that collaboration together because it took quite some time for us to get in contact again, flush the idea out, and once we did the recording was delayed because I was busy prepping to move to Europe. So something like 1.5 years later The Drums came out and the rest is, as they say, history. I’ve also known Lee (Foss) for several years from his pre- Hot Creation days as we’re both California boys and peeps who love these tunes are kind of a close knit community as you well know. I’m ridiculously excited to have a couple solo cuts out on the imprint as it’s always been one of my favorite labels. To go from being a fan to contributing to the label’s music library is a feeling that’s just hard to put into words. I’m stoked. Can you talk us through how you produced one of the tracks on the EP (including any favourite pieces of software/ hardware you like to use)? Most of the work on ‘Not Your House’ really came together almost entirely in one sitting. Sometimes when you sit down the stars align and things just come quickly. It’s almost like you’re creating a puzzle you intuition just tells you what pieces are missing and you’re able to quickly grab and insert them. I remember even the vocal that day came out of me kinda instantly. I remember getting the rhythm and feeling of what I wanted to say down first and then letting the tune tell me what the message/vocal cut should be. I’ve really been diggin’ on Arturia Analog & Diva in terms of software and they’re both used in this track. Can you tell us a bit about your background, who you grow up listening too, and who inspired you to get into DJ’ing/ Producing and being a vocalist? Music has always been around me. My mom was kind of a soul fan (shocking, I know!! Kev’s African American mother loved soul! haha) so lots of Roberta Flack and Luther Vandross etc… was playing at the crib when I was a little dude. In sharp contrast to that though, my dad is a bit of an audiophile, like we used to get Gramophone magazine delivered to our house kinda thing and he was massively into classical and jazz. So many nights to this day he and I will open a bottle of whiskey (scotch for him) and just listen or watch a music documentary about an artist/composer/band we’d like to know more about. I sang classically, competitively when I was in high school actually having three different choir classes a day at one point. I also spent a ton of time being the music got to guy for my group of homies coming up so I suppose even back then writing was on the wall. In those days it was all east coast hip hop for me. In college I developed an appetite for indie rock living in Austin Texas (America’s indie rock capital IMO), which I feel still appears in my music faintly to this day. It definitely solidified my love for minor keys. When I moved to San Francisco in 2000 I happened upon an art gallery where they were doing happy hour parties with a line of 150 people out the door at 7pm on every Wednesday. It made no sense, but people would come down after work and just go for it. At 9 pm it felt like 3 am at any other club in the world. It was there that I decided that this was something I just had to do. 6 months later I had my first set of 1200’s. So, while attending my law school classes during weekdays on Wednesdays nights and weekends I was slowly getting deeper and deeper into the music thing. At the time one of the city’s best DJ’s and the best opening DJ I’ve ever known personally, Scott Carrelli, sort of took me under his wing and invited me to be a resident for his wildly successful SatelliteSF parties. They started later, and were still on Wednesday nights (Thursdays were hell for like 7 years there or so, especially with a full time job), but the acts we got for that little 150 person venue where out of control. 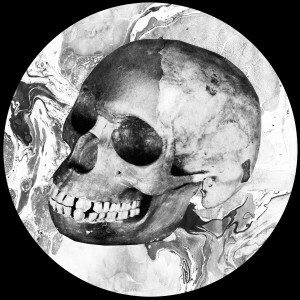 Lee Burridge, James Holden, Phil K and tons of others acts of that caliber. We actually helped create/extend the Wednesday night Market in that city, a torch still being carried by my homie Mikey Tello’s (from Pillow Talk) party Housepitality to this day. So I Dj’ed a lot during that period of time from like 2005 through 2013 in SF and that’s when I learned how to read crowds and kind of earned my chops so to speak. Along the way I sat in tons of studios with folks collaborating both as a co-producer and then eventually as a vocalist too (once some folks found out about my background). I think I’ve had a pretty unique opportunity compared to other producers because being a vocalist has lead me to be able to see how lots of different producers work and I can then take that experience and put it into my own work. It got to the point that I had to make a decision between continuing to do the lawyer thing and moonlighting as an artist or to take the plunge. So in May of 2013 I moved to Berlin and here we are, artisiting hahaha. How do you feel about the importance/ relevance of vocals in today’s Dance Music? How would you compare the importance/ difference between Berlin (where you live) and Ibiza (where you also play)? Both these places are great for different reasons. Personally, I landed in Berlin because I felt like the immigration hurdles would be easier to navigate. There are of course tons of clubs here in the B and thus tons of places to enjoy this music we all love so dearly on a weekly basis. And an obvious major difference is here you can do it year round. I mean, the argument can be made that some of the Berlin clubs are even better in the winter. The energy in Berlin is very gritty. Ibiza is just straight up magical. I was on the island gigging last weekend and I’d forgotten just how special the place makes you feel right when you step off the plane. I don’t know if it’s the fact that like 95% of the people are there on Holiday or what but it just has a certain indescribable AMAZING feeling. It’s one of my favorite places on the planet and I can’t wait to return in a couple months. The vibe in Spain, at least on that island, is pretty much the antithesis of grit. So I suppose it depends on what you dig. Can you tell us about any forthcoming plans for 2015 and beyond? I’m planning to get a few more solo EP’s out before the year ends. We’re looking at a few exciting labels for their release so stay tuned! I’m really enjoying having the full autonomy for getting my ideas out at the moment. The gig calendar is increasingly steady so that’s a good thing and I imagine it will keep me busy through the end of the year. I’ve also got collab releases forthcoming with Pan-Pot, Guti & Matt Tolfrey, Audiojack, & Daniel Dexter that will be dropping through late summer and into the fall. Other than that, we’ve got a dope grill set up at the crib and we’ve been stuffing chicken, searing asian flank steaks, and smoking pork rib racks so when not on the road or in the studio I’m planning to break fools off on the BBQ as frequently as possible. Live, Love, Grow, Listen, and Give that’s the plan. Stunning release from the label sees Vince Watson’s opening track, A Moment With Lonnie surpass itself via an outstanding intro of gorgeous instrumental ambience that you just don’t want to stop. 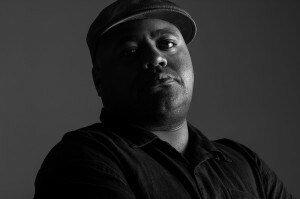 Eminesence, happens next with juicy House bass joined by funky percussion which soon expands itself into yet more blissful musicality, and then onto Calypso with its punchy vibes providing an alternative uplifting experience. Under The Skin completes the sequence with a tastefully jazzy inflected score that is round-about note perfect for the coming spring evenings. Once you get past the deeply unsettling cover then this bass driven cut is a joy to behold. First up are the addictive, sizzling drums which are soon complimented by those compelling Chicago-style deep tones, plus the odd touch of vocal and slightly twisted keys for added extra measure. Show Me, Show Me, follows with even more unfeasibly big basslines which are this time accompanied by standout piano and pumping beats, along with a twisted breakdown that certainly reaches a peak. Either way, a completely first-rate experience. Compiling and celebrating their tenth year in existence the Berlin based label certainly has plenty to share in terms of both depth and excellence. Reshaped and remodeled by Re.You this two disc experience gives everything and more care off the sonically charged music contained with the first disc highlighting 2014. For me, if it was even Anja Schneider’s outstanding ‘Jimmy’ and Lee Van Dowski excellent ‘050504’ on a loop I’d be more than happy, but of course the label is about so much more with tracks from the likes of Rodriguez Jr. and Ross Evans all feeling vital and contemporary. 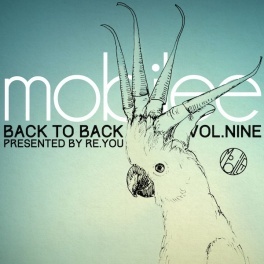 Re.You then comes into his own on the second disc by deconstructing and then re-imaging a handful of Mobilee’s back catalogue which are then reconstructed into two 30 minute mixes. Add to that excitement some brand new remixes along with hot Ninetoes collaboration, ‘Union’ and Volume 9 clearly makes for essential listening. Been around since Christmas (remember that) and having just been brought to my attention it would be amiss not to reignite your attention on this. Combining irresistible, dark smoky bass alongside Jamie Porteous’ teasing, breathy vocals which lend this great production a tantalising sheen on title track, Spyderman. Next comes the deeper, equally compelling Inside which plays meandering synth lines against sassy rhythms, and again feels lush and inviting. Next please. Not often an artist album comes along displaying not only valuable words but musical skills on this level. 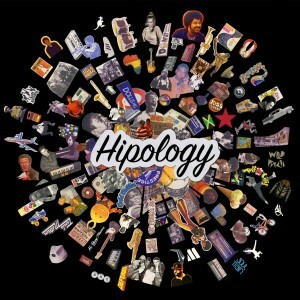 Marc Mac (also one half on 4Hero) who whose been producing music for the past couple of decades has arrived at this point, again, with his second Visioneers album, Hipology. Listening to this reads like a history lesson in sight and sound while expert instrumentation is employed via a sterling set of players. Indeed, try an instrumental track like LaAnne from Harlem and tell me it doesn’t move to tears of joy. 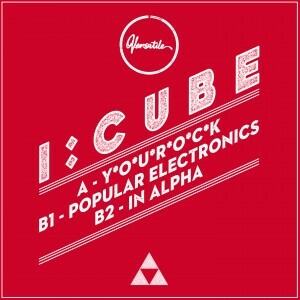 The album creatively evokes moods and plays with words both spoken and sung throughout, while for the dancefloor try the take on B-Boy legend, Apache (Battle Dub) for size, plus any number of other sure-fire gems. Something for everyone exists on here with the summer funk of Come Sand Play in the Milky Night destined for any beach party worth its salt, or Shine which feeds your mind with meaningful word and soulful tones. 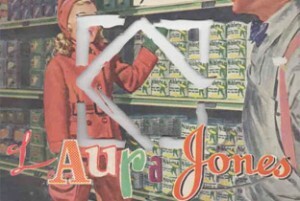 Laura Jones invigorating exploration of electronic sound continues with her first compilation mix for the prestigious Leftroom imprint. Starting with moody brilliance of dOP & Masomenos Hello! the album rapidly proceeds to entice you with its emotive selection of beats and rhythms that never fail but to ignite your imagination. Combining a diverse selection of music from labels like Vitalik Records, Visonquest, and of course Leftroom means that you know you’re always in safe company. What’s also particularly notable here is the way the album weaves between styles, flipping from Techno to House while never feeling contrived. The second half of the mix picks up the pace with a sure succession of killer tracks from Gavin Herlihy and Polyrhythmic, amongst many significant others, finishing on Guy Gerber’s masterful The Mirror Game. Sao Paolo’s D-Edge combines with long standing House Music impresario Luke Solomon to release this testament to the DJ’s undoubted prowess in all things musical and techincal. The Classic Records co-founder carefully teases every inch of rhythm from this truly intense mixture of distinctive House, unsettling Techno and general electronic madness into the bargain. Whether that’s Red Rack’em’s bassline master class of How I Program, or Boo Williams severely funky Devil Music this will truly rock your discotheque. Any mix that climaxes in the process with the Roberto Rodriguez version of Seven Reasons can only probably be described as transcendent. Excellent EP from Germany’s Klasse Recordings beginning with the melodic technology of Soul123 which references Detroit like it was just around the corner. 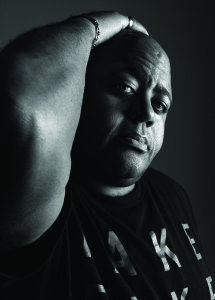 Next, Skeleton Keys gets busy with classic House bass and organ creating perfect tension in the air. While, Fakie Snot Bubble cleverly hits you hard at first with fizzy old-school stabs and ‘work this’ vocals, then turns it all upside down with warm pads and House strings causing emotive confusion? Despite its somewhat dubious title the more I hear this, the more seriously impressive it sounds. 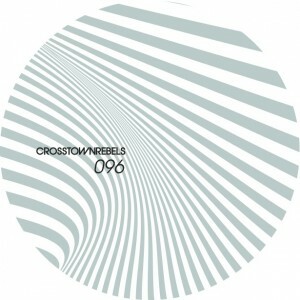 You don’t really need me to tell you that this latest from Crosstown is excellent, do you? Put it like this: it feels ever so slightly sinister with sumptuous bass notes driving the taught beats, as the uber cool vocals feel deeply soulful in a Trans-European setting with sparkling keys lifting it all skyward. Stare If You Want To feat. Javi happens next with killer syncopation feeling like disco never went away (I know, it didn’t) but coupled with tripped out voices and more contemporary chords plus guitar, this again transcends the timeline. 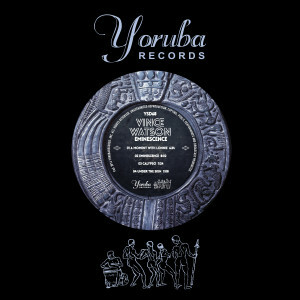 The Francesca Lombardo Remix of You’re Not Welcome resists the titles negative appeal with addictive notation and proves the vocal to be defiantly happy. Clearly in his own class Justin Martin’s debut album acts like a conduit for his myriad of influences and own particular brand of music. Encompassing everything from U.K bass to Acid the album avoids treading a cliqued path by its use of trippy voices and unexpected combinations of styles, which none-the-less always feel exciting and pertinent. Butterflies is a case in point with edited child-like voices playing off against synthetic chords and squelchy basslines to sound like not a lot else out there. Also try Molokini for some heavy-duty business, and The Gurner with Pillow Talk for something a little deeper and more spiritually motivating.